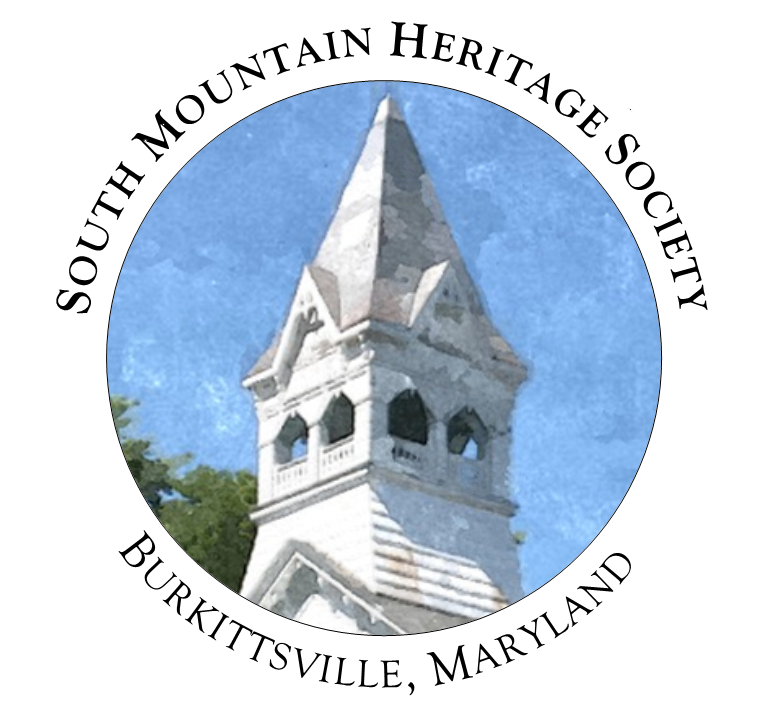 South Mountain Heritage Society (SMHS) is dedicated to preserving and interpreting the history of Burkittsville, Maryland. We are headquartered in the historic Resurrection Reformed Church. Our mission is carried out through the preservation of our historic headquarters, the operation of our museum, our research and archive collections, and educational programming. SMHS is a 501(c)(3) non-profit organization that depends wholly upon volunteers and contributions from our patrons and the community. The society is administered through an Executive Council of members elected to serve in the positions of President, Vice President, Secretary, Treasurer, and Historian/Curator. Additional members-at-large serve as appointees to the Executive Committee. The Burkittsville District Heritage Society, organized in 1975, was the first historical institution to be founded in our community. When the congregation of Resurrection Reformed Church decided to close their church after 150 years of worship, the society took over the building and led in the first restoration efforts. The original organization became defunct in the 1980s. In the early 1990s, community members revived the institution, taking up the mission of the old heritage society. The new organization was named South Mountain Heritage Society. The society has overseen the restoration of the exterior (1999-2000) and interior (2001-2002) of the Resurrection Reformed Church, developed programs to further public awareness of the importance of our heritage, and built and maintained a growing collection of historical documents, photographs, and objects related to Burkittsville’s history. The historic Resurrection Reformed Church, our headquarters located in the heart of Burkittsville.